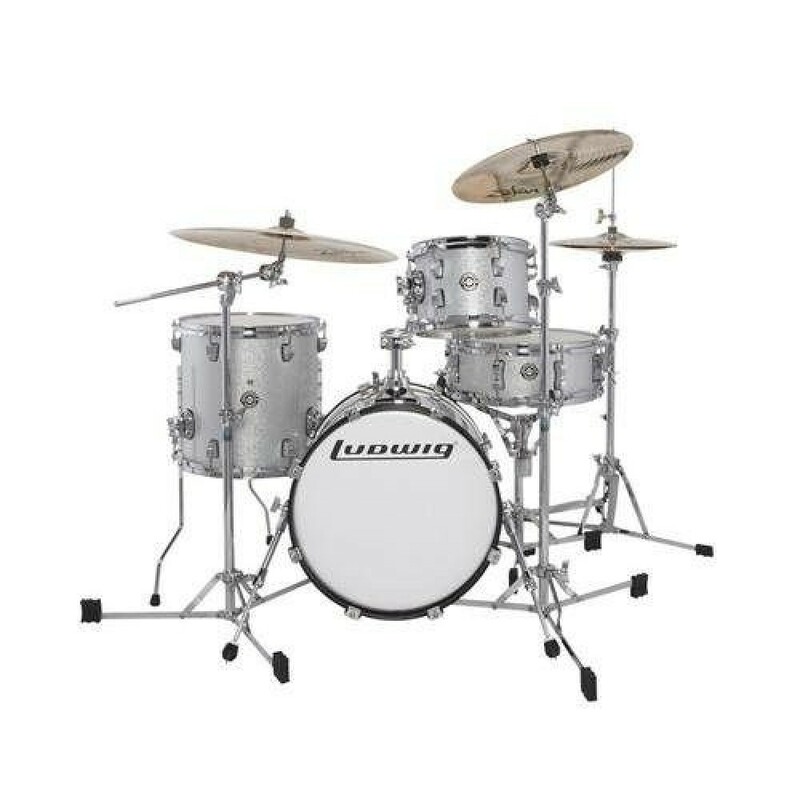 Breakbeats by Ludwig marks the return of Ahmir "Questlove" Thompson to the drums of his youth. With a setup compact enough for an apartment, cab and a coffeehouse, Breakbeats by Ludwig are an ideal companion for the gigging, urban percussionist. The driving force behind these drums are the 7-ply poplar shells that produce punchy, focused attack with dry, clipped resonance. A 45-degree bearing edge ensures quick, classic shell response, while triple-flanged hoops will endure the best rimshots you can produce. 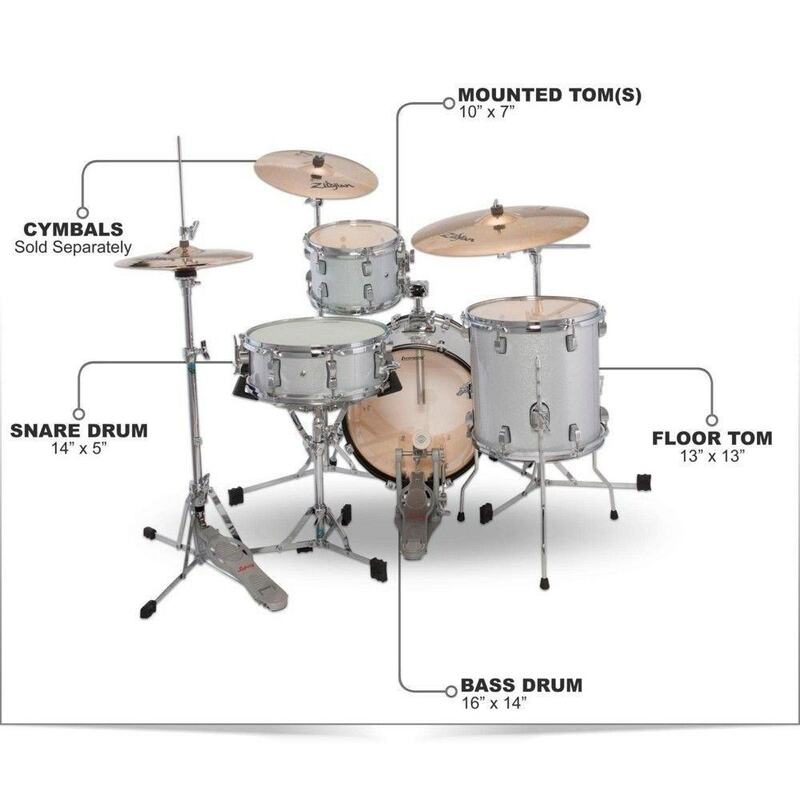 Positioned on an included lift for optimum reach, Breakbeat's 16" x 14" bass drum, 13" x 13" floor tom, 10" x 7" tom and 14" x 5" matching wood snare not only fit into tight places, but also break down quickly. This shell pack also includes velvet storage bags for a convenient transport option. Additionally, you can use the bags to reduce volume by draping each bag over each drum. 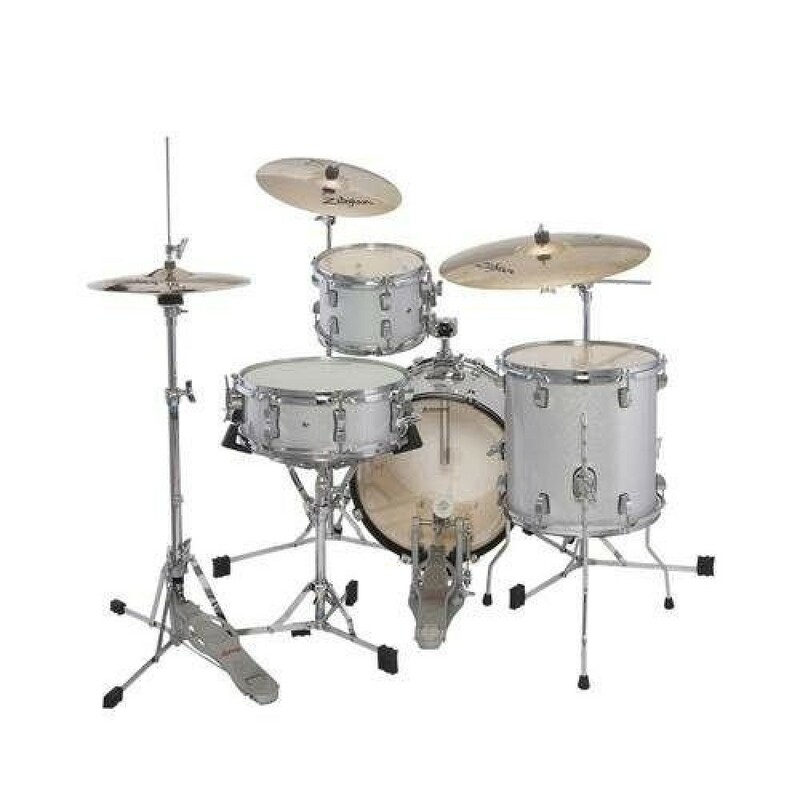 Available in three durable wrap finishes, Breakbeats by Questlove has a footprint as "tight" as their namesake. 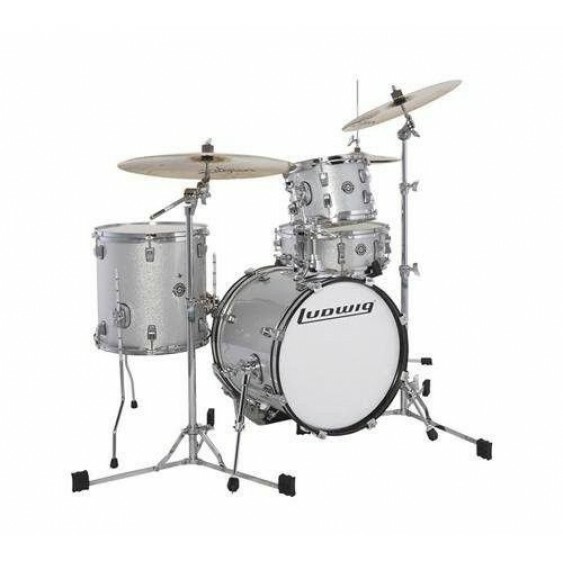 Ludwig's Breakbeats by Questlove was designed with the city in mind. Positioned on a riser for optimum reach, its compact form factor creates a set-up for sculpting grooves in tight spaces. Packable, stackable, and portable, Breakbeats' compact size and included velvet storage bags make it ideal for the drummer on the move. 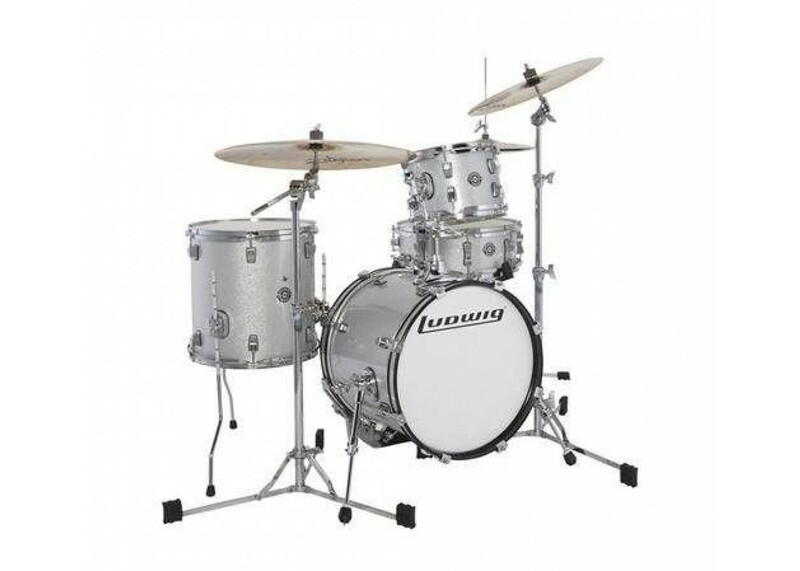 Play it wide open or instantly change volume and tone by draping each bag over each drum. NOTE: Just in case you didn’t see it in bold written above , the cymbals and hardware are not included and are sold separately! This auction is for a shell pack only .